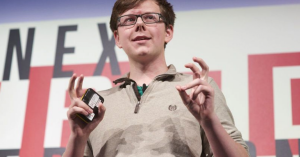 19-year-old bitcoin millionaire – you should invest in cryptocurrencies | News by Wales Express News, People Before Profit! 19-year-old bitcoin millionaire: Here’s how much you should invest in cryptocurrencies. Previous articleBitcoin machines bring cryptocurrency to bars and gas stations. Next articleHUGE Litecoin announcement and Bitcoin gamechanger.